Mumbai : Most controversial movie of last year, which is Aamir Khan, Anushka Sharma and Sanjay Dutt starer 'PK's director Rajkumar Hirani's upcoming biopic on Sanjay Dutt is likely to release during the festive season in 2017. 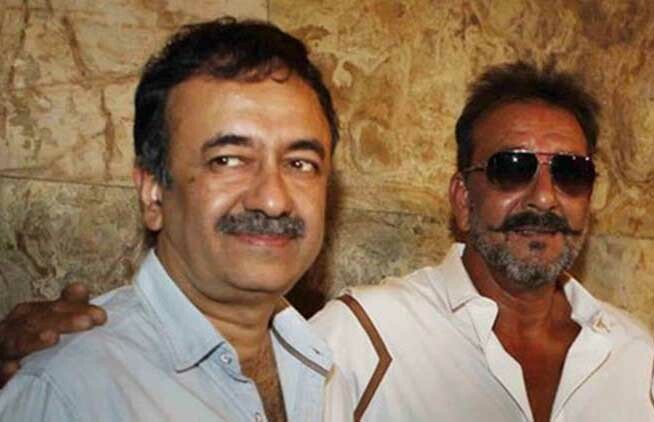 Hirani’s debut film “Munnabhai MBBS” was released on December 19, 2003, while his last two blockbusters, 2009 comedy “3 Idiots” and last year’s “PK” were released on December 25 and December 19, respectively. During a recent media interaction, Hirani revealed that the film, which will have Ranbir Kapoor playing Sanjay Dutt, will go on floors in June next year and is expected to release during Christmas in 2017. The 53-year-old filmmaker says he has finished the first draft of the movie and is ‘waiting to progress’ with it. Sanjay Dutt is lodged at the Yerwada prison in Pune where he is serving the five-year sentence for possession of illegal arms and ammunition in connection with the 1993 Mumbai serial blasts case. Ranbir will beef up to essay the role of Dutt but Hirani says they have not decided just how much weight the “Tamasha” actor will gain.